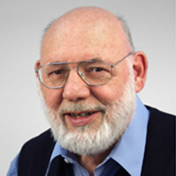 Walter Gehring was mainly involved in studies of Drosophila genetics and development, particularly in the analysis of determination in the embryo and transdetermination of imaginal discs. He made significant contributions to the study of the heat shock genes, various transposons and the homeotic genes, which are involved in the genetic control of development. He and his group discovered the homeobox, a DNA segment characteristic for homeotic genes, which is not only present in arthropods and their ancestors, but also in vertebrates up to man. He was involved in the development and application of enhancer trapping methods. They identified Pax-6 as a master control gene for eye development, which led to a new theory about the monophyletic origin of the eyes in evolution. Walter J Gehring, who obtained his PhD at the University of Zurich in 1965, was a Foreign Member of the National Academy of the USA, Great Britain, France, Germany and Sweden. In 2000 he received the Kyoto Prize for Basic Science, and in 2002 the Balzan Prize for Developmental Biology. He died on May 29, 2014.